My final post this term is just to wish you the very best of luck in the exams. Don’t worry if you don’t feel too confident – I didn’t. Just relax and don’t panic. Work hard to manage your stress and to keep your focus. You’ll always feel as if you could have done more work, but don’t worry about that: everyone feels this way. Take solace in the work you’ve done so far. You’ve achieved a lot. Remember also that OnlineGrinds.ie has a lot of different resources available for you: you can rewatch our archived grinds on any areas that you are worried about. I’m not going to lie and say the Leaving Cert isn’t important – it certainly is – but it’s not the most important thing in the world. If you under-perform in the exam, there are lots of other options open to you. Posted by onlinegrindsireland on May 31, 2013 in Uncategorized and tagged Leaving Cert. 1. Stationery: You don’t see Dirty Harry going for a shoot-out without making sure he has enough bullets in his gun. Make sure you’ve got enough too! It’s time to reload that pencil case. Over time, you’ve probably let supplies slip from the start of the year, when you had a pen for every colour of the rainbow. Now it’s time to hit the shops, again. Make sure that you have more than one black, blue and red pen. Get a pencil, eraser, topper and also some geometry equipment for mathematics. Calculators are vital – have one and make sure that it works perfectly! Also, review every subject that you have: any special requirements? This little step can make a big difference, simply by removing another potential hassle on the day of the exam. 2. Timetable: What’s that you say? Cillian is harping on about timetables again. Well, yes, yes I am, but that’s only because they’re so vitally important. The time in your day will change in the run up to your exams, mainly because you’ll have some time off before them. Make sure that you use that time appropriately. 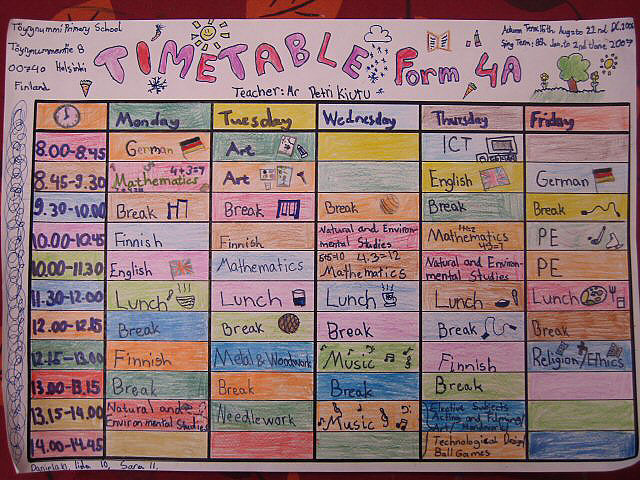 Write up your most detailed timetable ever; be sure to include what you’ll be doing in each subject. This way you’ll make the most out of that time. It can be difficult to get used to the time change, but it’s important, coming up to the exam, that you use this time as effectively as possible. 3. Organisation: Another one of my classics is coming your way too: folders! Last month, I told you to refine your folders and remove everything, which wasn’t related to the examination. Well, you need to do this again, but be even more rigid. Go break the course down into exactly what you’ll be focusing on in the examination, and only leave that in your folder. This will make your workload much more manageable, and force you to think directly on the exam. 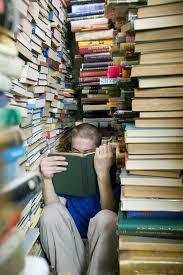 On the morning of the exam, you should be able to flick through a subject, in the space of an hour. This quick revision can only work, if you’ve actually cut the folder down. Once again, organisation is key! Posted by onlinegrindsireland on May 22, 2013 in Study Tips and tagged Leaving Cert, Leaving Cert Exam Prepartaion, Organize for the Leaving Cert exams. It is vital at this stage, that you start ‘specialising’. That means that you take an honest look at the paper – and yourself – and identify your strong points and your weak points. See if it possible that you can avoid the weak parts of your ‘game’, and play to your strengths. This means that you should have a rough idea, at least, as to where you are going on the paper, and what questions you will answer. In nearly all papers, you don’t have to answer every question, so you should take this into your account during exam preparation. On no account, however, should you cut corners. Never take the risk of your leaving yourself out on a limb: it simply isn’t worth it. Always make sure that you’re able to answer the required number of questions, no matter what happens. Have some of your weaker areas for back-up; don’t totally disregard them. A big example, in my year, was what I like to call ‘Boland Syndrome’. Put simply, on HL Leaving Cert English Paper, you need to prepare 5 poets, so you are certain that you’ll be able to answer a question. The excellent Irish poet, Eavan Boland, was tipped to feature on the paper. She was tipped so much, that an exceptionally large number of students decided to only cover her in great detail. The result was students around the country bursting into tears, when they opened the paper with no Boland on it. Stay as far away from ‘Boland Syndrome’, as possible! OK, we all have bad habits, let’s face it. That said, some habits are worse than others! A central aspect in exam preparation is removing those bad habits. It’s important, however, that you do this a few weeks in advance. There’s still time! Don’t expect yourself to be able to totally change your routine the night before – it won’t happen. The best example is staying up late. It can be very difficult to adjust your sleeping pattern, especially coming up to the exam; however, staying up late can be detrimental to your exam prospects. You should try and adjust your routine, so that you hit the hay at a reasonable time. Again, it’s dealing with them well in advance that’s important. Most students think that they’ll get up at 6am on the day of each exam, and do a lot of revision. This is definitely feasible, but it’s impossible unless you’ve done some practice and sleep at a reasonable time. Identify those bad habits, and deal with them now! Posted by onlinegrindsireland on May 14, 2013 in Study Tips. you’ve picked up over the last few months. So take a look back through our blog and refresh those skills by looking at my other study tips. Can you even remember the Mocks? At this stage, it seems like so long ago. Well, whether you remember them or not, it doesn’t change the fact that they can make a big contribution to your exam preparation. It’s important to review your mocks and learn from them. If you didn’t do that originally, then now is the best time to do it. Review your exam booklets: see where you got caught for time, and see where you need to improve. Notice the areas in the subjects that let you down. Even if you did this before, review your thoughts previously and make sure that you give your weak points extra attention in your exam preparation. Remember that the mocks were created by teachers, and many of them genuinely think that the topics that came up are likely to appear. If a question caught you out on the mocks make sure that you’re clear on it now. Don’t overlook these topics; some of them will be on the exam. Posted by onlinegrindsireland on May 8, 2013 in Study Tips and tagged Leaving Cert Exam Prepartaion. Big Mistake: Trying to do it all at once! 1. 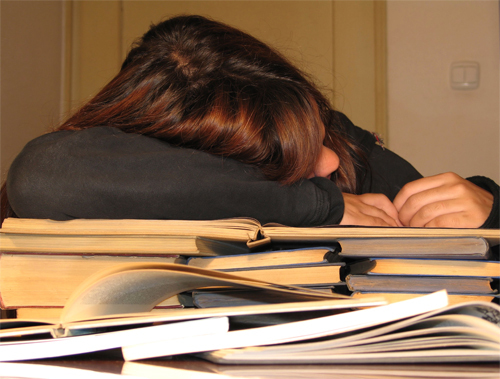 All Nighters: There is absolutely no benefit to an all-nighter! It might seem like you’re going to get an extra eight hours work in, but really those eight hours will be entirely unproductive. Also, you’ll have exceptional difficulty trying to actually learn anything. The worst thing about these is that they wreck your routine, and fundamentally you’ll need to make those hours up somehow. The biggest problem with these is ‘peer pressure’: you might hear about your friends pulling ‘all-nighters’, and then assume that you must do so too – don’t fall for that! 2. Miss School: I didn’t do this, but I know a number of people who did, and it didn’t work out for them. Some people might think that by taking a day off school to do some study, that you’ll get much more work done. Certainly, you will get more information in your head. The problem is, however, that when you return to school the next day, you’ll be a day behind in work. Your teacher has a plan and a structure too, which is designed to bring you up to the exam, and if you don’t keep up with that, then the sense of pressure, from being behind in the classroom will add up too. 3. Not taking breaks: When people feel like they are under severe pressure, they start to look for ways to make extra time; one of these is removing breaks from their timetable. Unfortunately, this is counter-productive. You need those breaks so that you brain can digest everything you’ve learned in one study session. Most importantly, by taking a short break, your concentration is able to last much longer, therefore allowing you to get more, not to mention better, study done. 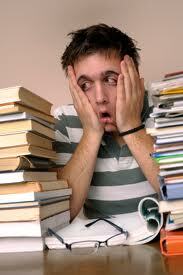 Posted by onlinegrindsireland on May 1, 2013 in Study Tips and tagged Coping with stress, Leaving Cert Stress. In the last blog post on Coping with Stress of the Leaving, I suggested that during a study break, you might want to listen to a song or watch a video. 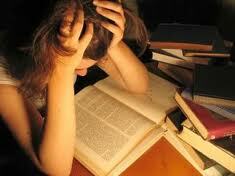 Here it’s of crucial importance that you apply the same diligence to you breaks as you do to your periods of study. If you were to take an unstructured approach to your breaks before you know it you could be depths of an unstoppable Youtube marathon. Giving into the temptation of extending breaks has the obvious effect of disrupting your study plan, but that’s compounded by the guilt which you immediately associate with it. You’ll feel guilty for not getting the work done. You’ll wonder where did the time go, and just give up for the rest of the evening. All these things have happened to me, but you need to watch out for them. What can you do? Structure your breaks with the precision of a German military robot sent back from the future! 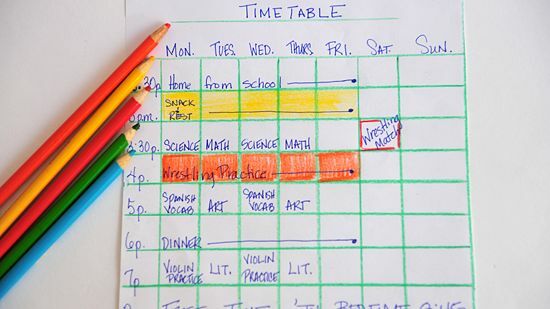 As we’ve discussed in previous posts on study timetables you must structure your study into manageable periods. Why shouldn’t you do the same with breaks? So my recommendation is that you use a timer for both study periods and breaks. Schedule your breaks for a specific period of time, put it on the timer and hit go. The second that alarm goes its back to work. Sometimes it can be good to look forward, to plan ahead, and to prepare for the exam; after all, that’s the end goal. It’s important, however, not to look forward all the time. Don’t, for example, count down every day you have left. That’s unnecessary and will make you feel as if time is running away from you. So don’t look forward too often! If you have to look in any direction, then look backwards. This can be a great way to boost your confidence. Compare ‘the you of today’ with ‘the you of 6 months ago’ and you can see how far you’ve come. It will always appear as if there’s a lot to do between now and the exam, but if you look back at the difference you’ve already made, then you can be confident that you can bridge the gap in the future. It might be the case, however, that you haven’t been able to get into study so far. That means looking back will only add more stress, by making you feel as if you’ve wasted time. If that’s the case, then don’t worry – focus on the present and what you can do know. Ultimately, that’s the best way to keep yourself focused. Next Week: How to avoid a Big Stress Mistake! 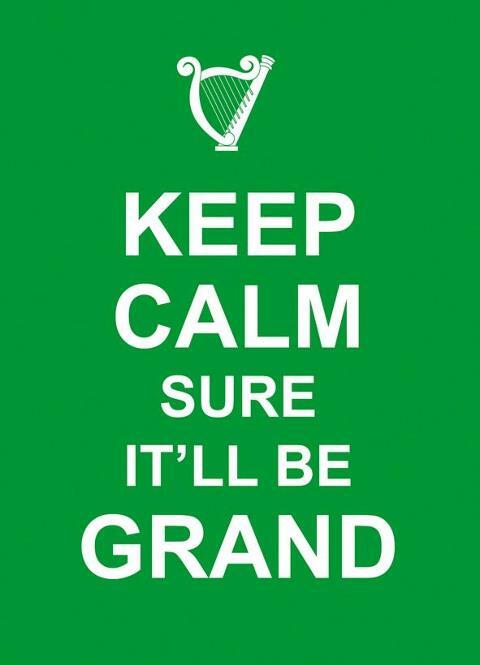 Posted by onlinegrindsireland on April 24, 2013 in Study Tips and tagged Exam Stress, Leaving Cert, Stress. So you probably already know what stress is, right? Wherever things have been going in your study, or even if they haven’t been going at all, I’m sure you can still feel the pressure of those exams in June. Don’t panic! This is the same for everyone. It’s vitally important however, that you can manage that pressure. You need to keep your motivation and morale up when studying for exams. Don’t worry about how you’re going to do in the future; think positive and focus on what you can do in the present. It is hugely important that you don’t take an all or nothing approach to study i.e. overworking and over-pressurizing yourself and not allowing time for rewards or relaxation. Not doing so will just make you think of study as some sort of punishment. However planning and incorporating breaks and rewards into your schedule will improve the experience for you leaving you feeling more satisfied and making you far less likely to ‘dread’ opening a book. Humanity may be complex, but some of our needs can be very simple. It’s difficult to keep motivated for long periods of time, so after you’ve done some good work, then you should reward yourself with a little treat. This will keep you positive and focused. 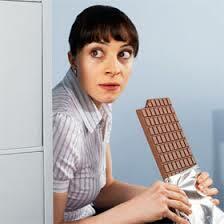 Personally, chocolate always works for me, but there’s no reason why it has to be chocolate; it could be anything. For instance, you might want to listen to a song, or watch a couple of videos on YouTube. You should also use these rewards to make your study time more efficient and as a help to make you focus and concentrate. For instance, if you learn a poem in 30 minutes, then you’ll get a full chocolate bar, and if it takes you a full hour, then you’ll only get half. You don’t need to reward yourself every single break, but every now and then it can be a pretty useful trick to keep that motivation up. Posted by onlinegrindsireland on April 18, 2013 in Study Tips and tagged Study tips. €3000 Study Tips for free..
Posted by onlinegrindsireland on April 12, 2013 in Study Tips and tagged Independent.ie, Study tips. It’s important to remember that no one learning technique is the best. They all have strengths and weaknesses. You will experience these if you try them out. You don’t have to write everything out or listen to everything. You can write some material out when learning it and listen to other bits. You can also combine the two on the same material to help. If I needed to learn an essay off word-for-word then I would write it out repeatedly but also have some accompanying pictures to summarize the information and to really get it to stick in my head. 1. Timing: You don’t have forever to learn everything. You have a limited amount of time and you need to use it wisely. Time your study methods and see how long they take. If one is taking too long then this could be a sure sign that I does not work for you. 2. Recall: Can you remember the information the day after you’ve learned it. It’s normal to forget some of the information but if you are having genuine trouble recalling most of it then this means there is a problem and the method may not be working. Try revisiting the same material but take a different approach. 3. Different Material: It’s important to remember that there are different types of material which require different methods. For example, definitions, tenses, essays and so on. Just because a method works for one type doesn’t mean it will for others. Don’t take this for granted. Find out which method works best for each type of material. Posted by onlinegrindsireland on April 11, 2013 in Study Tips and tagged Cillian Fahy, Learing. Oral Exams | Essential tips your teacher won’t tell you..
Communications expert Declan Farrell from Carr Communications gives you advice on the non-verbal signals that you must be aware of before you take your Oral Exam. Posted by onlinegrindsireland on April 5, 2013 in Career Guidance, Study Tips and tagged Communication, Orals. need to think about it? Not at all, you can continuously improve your study space. bring your mp3 player, and is that just dulling your focus? Are notes everywhere? if you feel like there’s a long road to travel: it’s a long one for everyone! Posted by onlinegrindsireland on March 29, 2013 in Study Tips and tagged Easter Revision, Easter Revision Course, Easter Study Tips. your study and prepare yourself for the final sprint ahead. thing about a timetable is that it must be PERSONAL! you need to adapt that to you. There’s no one size fits all here. productivity and making you feel a hell of a lot more in control of your study. strengths. You need to improve your weaker areas too – don’t forget about them! Tomorrow we’ll look at your study timetable and planning ahead. Posted by onlinegrindsireland on March 28, 2013 in Study Tips and tagged Easter Revision, Easter Revision Course, Easter Study Tips. OnlineGrinds.ie brings you an amazing deal! Posted by onlinegrindsireland on March 26, 2013 in Study Tips and tagged Easter Revision Course, Study. Posted by onlinegrindsireland on March 23, 2013 in Uncategorized and tagged Voice of Ireland. It may sound a little juvenile but picture books could be the key to your learning. This way you avoid staring at boring words, which can sometimes blur together on the page, and instead learn distinct pictures which stand out. When it comes to learning, a picture really is worth a thousand words. This won’t be particularly useful if you need to learn word-for-word but otherwise it’s a very useful method. Try and draw an image which captures the idea you wish to learn. The more bizarre or odd it is the more it will stick in your head. You don’t need to be a great artist – I’m certainly not – but that’s what makes my stick-men stand out more. An example of this technique that I used was when I drew an image to remember who was involved in and won battle of Waterloo; I drew a very crude Napoleon being stood on by a giant Wellington Boot (Duke of Wellington). I have never forgotten this fact to this day. The linking of ridiculous images to a fact however complex is a technique used by memory masters such as Derran Brown. So if is good enough for him.. The trick to any learning method is to test yourself regularly as you learn. Break down the information you need to learn into small chunks. Then take on each chunk and learn it. Once you’ve looked over it then write it out. Take note of what you missed out on, learn it again and then write it out. Repeat this process for a third time. After this you should have that chunk complete. Then carry on with the rest until you’ve the whole piece in your head. Next Week . . . A big mistake you must avoid when learning! Posted by onlinegrindsireland on March 20, 2013 in Study Tips and tagged How to Learn, Study tips. Leaving Cert French Grinds Teacher Paul Stenson gives you a clever tip to get the most from your Leaving Cert French Oral Exam. Posted by onlinegrindsireland on March 19, 2013 in French and tagged French Aural, French Tips, Leaving Cert French. If you’re in anyway usure of whether OnlineGrinds.ie is right for you or your son or daughter, please take a minute to read the following review from the Irish Times. Posted by onlinegrindsireland on March 18, 2013 in Uncategorized and tagged Media, OnlineGrinds.ie Review, Press. Straight A Student Cillian Fahy brings you the Part I in his How do I learn series. This is a classic method for learning. It’s also quite a simple one, you take what you need to learn and write it out again-and-again. All you need is a pen and paper. Oh, and another thing to remember is that it takes lots and lots of time! It can take forever and a day to learn off material using this method. However, it’s quite effective for learning definitions, quotes and anything which requires word-for-word knowledge. Sometimes you may find it easier to learn something by listening to it repeatedly. All you need do is record yourself reading the material aloud and then listen back to it again. Recording isn’t a problem either, many computers have integrated mikes and if not they’re not too expensive. Most Smartphones come with a in-built audio recording app. A great advantage of this is that you can listen anywhere – I always found it especially handy on the school bus. This can be quite useful for learning most things. Remember you can use a ‘note taking’ approach to audio also. Often the meaning in school textbooks can be lost by poor writing or unnecessary words. Once you get the meaning, record it in language that is the easiest for you to understand and remember. Also, don’t forget to label audio files as accurately as possible for easy reference. Which of the above methods you use will depend largely what you find most effective. If you are a visual person, as many people are, having something tangible for your eyes is very important. If you find writing tiring visually and manually then audio recordings are the way to go. 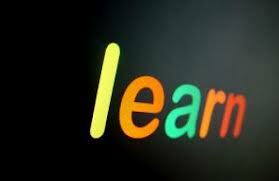 Posted by onlinegrindsireland on March 13, 2013 in Study Tips and tagged Cillian Fahy, How to Learn, Learning. Worthwhile debate on Liveline on the subject of Home Schooling. One parent talks about how OnlineGrinds.ie has helped her daughter prepare for the Leaving Cert. Posted by onlinegrindsireland on March 11, 2013 in Uncategorized and tagged Home Schooling, Joe Duffy, Leaving Cert, LiveLine. information fresh in your mind. Every good timetable needs a focus.You should set goals in each subject at the beginning of each week. Be realistic and specific when you set these goals. For instance don’t try and cover all the poets on your English course. Instead, pick one or two poets. By making your goals manageable you will be able to stay thinking positively rather than feeling as if you didn’t get enough done. Most people spend far too much time writing up entirely new timetables when one doesn’t work. This is costing you time rather than saving it. 1. Put in plenty of ‘Back-Track’ sections. 2. Write it up on a computer – if you need to change you can do it quickly. problems are before you dump the timetable completely. 4. Don’t push yourself too hard as you’ll make a timetable that no one could stick to. 5. Ensure you stick rigidly to the time for each break between study sessions. Next Week: How do I learn? Posted by onlinegrindsireland on March 8, 2013 in Study Tips and tagged Cillian Fahy, Study, Study Timetable, Study tips, Timetable. Posted by onlinegrindsireland on March 8, 2013 in Maths and tagged Cillian Fahy, LiveLine, Project Maths. Rachel from thecareerhub.ie explains to students how your value system impacts on the career you choose. Posted by onlinegrindsireland on March 7, 2013 in Career Guidance and tagged CAO, Career Guidance, Leaving Cert, Values. A simple tip from OnlineGrinds.ie Leaving Cert French French Grinds teacher Paul Stenson to improve your French. Posted by onlinegrindsireland on March 7, 2013 in French and tagged French, French Language, French Tips, French TV. Supercharge your study! Two heads are always better than one..
Study can be a lonely experience. Many long hours spent with nothing but your own thoughts. Perhaps alot of those thoughts are doubts. Doubts whether all those solitary hours are even being well spent. There is far too much assumption from teachers and parents that we even know how to study. But thats the problem, they assume you know what you’re doing. So it’s not really their fault. It’s all down to you. So what can you do? well why not do something completely radical.…Ask for help. Few of us ask for help. We are either too shy or, in a peculiarly Irish way, we don’t want to impose on another person. This is a lose lose approach. As wonderfully bright as we all are we simply don’t have all the answers. In any given area there is always someone out there with more expertise or experience than us. Richard Branson wouldn’t be looking at commercial space travel today without the help or advice of others. Fair enough, he paid a lot of those people for that help , but there is no doubt that you know at least one person who is better at study than you are. ASK THEM FOR HELP. Maybe they’ll provide a complete study makeover, a 2 minute pep talk or an old fashioned kick in the backside. But unless you ask for it you wont get it. There are endless possibilites but why not look at time management, concentration techniques, how to eliminate distractions or your study Set-up; desk, chair, stationary, IT etc. This is the most obvious one. Find a friend or friends who are high achievers and pick their brains and see how they do it. You can also ask them to analyze your approach and ask them what they would change. Another good idea is to look at the possibility of creating a study group with them. You may have a Brother, Sister, Cousin, Uncle, Aunt or friend that has been successful either academically or professionally. These people have been there and done it and may be the right person to ask to review your approach to producing results. To many it may seem like your parents are the last people you want to involve further in your studies. But remember they are the people who probably care the most. They are also the most likely to be in the same house as you are studying. I had a friend who had his mother lock him in his room every evening in the weeks leading up to the Leaving Cert. While going that far shouldn’t be necessary using your parents to keep you on your toes might just be something you’ll thank them for next Septmeber. There are plenty of communities online that could offer assistance/ advice in the area of study. Try the onlinegrinds.ie forum where you can chat with teachers and your fellow students. So don’t sit there fretting anymore. Get out there and recruit a lieutenant for a Mission Most Possible: getting the very most out of your time spent studying. Posted by onlinegrindsireland on March 4, 2013 in Study Tips. Leaving Cert English Grinds Teacher Hugh Baker takes you through each of the steps needed to get the most marks possible from the commonly asked Diary Entry exam question at Higher Level English in the Leaving Cert. Posted by onlinegrindsireland on February 27, 2013 in English and tagged Custom Menu, Diary Entries, Exam Questions, Hugh Baker, Leaving Cert English. Time to get back to those timetables! Last weeks post on Study Timetables, we focused on identifying how long our study periods should be. This time we’re going to take a look at Prioritization of Subjects, making the most of breaks, managing homework and back tracking. Not all subjects are equal! study sessions. Make sure you give most time to the subjects that provide you with the most difficulty. you always feel in control. It can be easy to feel like you’ve lost control if you miss a study session. any previous periods you might have missed. Next Week: Revision, Goals and the one ‘Big Mistake’ you must always avoid! Posted by onlinegrindsireland on February 26, 2013 in Study Tips and tagged Cillian Fahy, Study, Study Timetable, Study tips, Timetable. OnlineGrinds.ie Geography Grinds teacher Enda Whelton explains why the Swiss and the Norwegians are reluctant to commit their futures to full European Union membership. Now one of the key questions that I get asked by students is why do Norway and Switzerland not join the European Union? There is one key reason for each. Norway won’t join the European Union because they would have to give up their fishing rights to other European countries and share out the fish stocks. The fact that about 30% of Norways wealth is generated by fishing would suggest that they would be unlikely to want to share that with other Countries in Europe. Also, Switerland won’t join the European Union because they will have to declare legally anything that is in their Swiss bank accounts and safety deposit boxes. They make alot of money from this and therefore are unwilling to join. They do however, have something called associate membership. So you could say that they’re part of the gang but not really the gang. But obviously they’re two very very wealthy countries and very possibly don’t feel the need to take part fully in the European Union. Posted by onlinegrindsireland on February 24, 2013 in Geography and tagged EU, Leaving Cert Geography, Norway, Switzerland. Straight A student Cillian Fahy brings you the first in his series on Study Tips. There’s just never enough time! No matter what, it always seems like you’re fighting a losing battle against time to get all your study in. Even this early, there’s a lot to do and little time to do it in. But never fear! The secret weapon in winning this battle is a well-made timetable. This question should be broken down into two further questions. 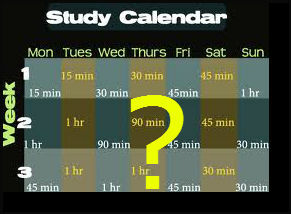 Firstly, how long will each study session last? This all depends on how much constant attention you can give in one sitting. There’s no point doing 50 minute study sessions if you spend the final 10 minutes day dreaming. I recommend starting with 30 minute periods. If you think you can go a little longer or are having difficulty with that long then adjust the time accordingly. Everyone is tempted to go for longer sessions but just aim for what suits. Some people find concentrating for longer periods easier than others. If you are having major difficulty applying yourself take a step back. Take note of at what point you your concentration/ productivity dips. Perhaps its after just 15mins. If that is the case start out studying in 15 minute blocks. 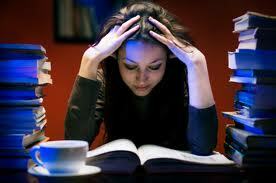 In the days/ weeks following look to increase the duration of these study periods as your concentration improves. But remember, doing a large number of brief 15 minute sessions where you are productive is always better than a smaller number of 40 minute ones where you end up staring at the wall! The second question is, how much time do you plan to give each day to study? Take account of all the other activities and duties you have. Remember that days vary and you might be able to do more on a Saturday than a Tuesday. 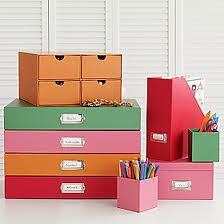 This is where a the use of a study timetable or calender comes in very useful. With one of these you can plan and measure exactly how much time you will be able to apply yourself to study while taking all your other commitments into consideration. Next week . 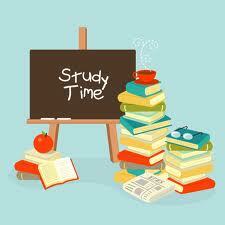 . . how to split your time between subjects & when to take a break. Posted by onlinegrindsireland on February 22, 2013 in Study Tips and tagged Cillian Fahy, Planning, Study, Study tips, Timetable. 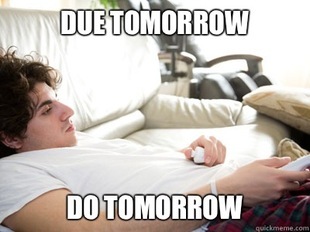 Odds are that many of you reading this post are procrastinating. Some of you may be asking yourselves, what exactly does that word mean again? Often this behaviour is diagnosed by frustrated parents as plain old ‘laziness’. But there’s a little more to it than that. Lets look at why we do it and what can be done to overcome it. There is a natural tendency in humans to over or underestimate a reward or achievement based on how far away in the future it is. Human motivation is highly influenced by how imminent a reward is perceived to be. Meaning the further away the reward is the more likely we are to discount its value. This is often referred to as Present Bias. If I was to offer you the choice of €100 today or €110 in 1 months time most people would take the €100 today. Now if I was to give you the choice of €100 in one years time or €110 in 1 year & 1 months time, bets are that far more people would wait that extra month. In both offers the wait time between getting that extra €10 is the same. This example goes to highlight the inclination we all have to choose more immediate awards. What does science you say about all this? Well its been known for years that enjoyment provides the brain with Dopamine hits. Dopamine hits are good. Well at least they feel good. Small and continuous rewards modify neurons making you much more likely to repeat that behaviour. A good example would be playing a game on your phone at the expense of studying for an upcoming exam like the Leaving Cert. Playing the game provides you with an immediate dopamine hit and is easily repeatable enjoyment. Whereas the rewards of achieving results in something like the Leaving Cert may be greater but are more abstract as they are unlikely to have been experienced before and aren’t immediately obtainable. The Limbic System is one of the most dominant parts of the brain and is the driver of our emotions and subconscious. The pre-frontal cortex is weaker and less ‘automatic’ but is responsible for the ‘getting the job done’ aspect of our thinking. The moment you’re not consciously engaged in a task, your Limbic System takes over. You give in to what feels good – you procrastinate. Identify: The first thing to do is put a finger on when and how often you procrastinate. Being simply able to identify the behavior is the most important factor in avoiding it. Ask yourself honestly if you have a habit of doing something unimportant at the expense of doing something more worthwhile. Facebook anyone? Eliminate: Many people have a deluded sense of their own will power to avoid distractions. You may think that having a Tablet, Smartphone and Laptop to hand is essential to effective study but it’s definitely not. These things are often nothing but a distraction waiting to happen, I studied for my Junior and Leaving Cert without one in my room and did just fine. If you have trouble studying put yourself where there are no distractions. Ask friends or family for help formulating ideas in how to cut off interruptions. Start: This is one that seems obvious but think about it. Procrastination happens when you avoid doing things. To actually do something you have to start if first. If you start a task you aren’t procrastinating anymore. Yay! You have to make that first decision to get the ball rolling. For most people this is the most difficult part. Tasks are NEVER as difficult as they appear beforehand. 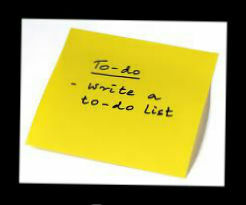 Plan: Map out and prioritize your tasks. Break them down into bite size manageable chunks. For studying I used to go for 25 mins before rewarding myself by taking break. Reward: Reward yourself for sticking to your plan. If your reward is to take a break, apply the same focus and dedication to you breaks as you do to being productive. Give yourself a set break period and stick to it. 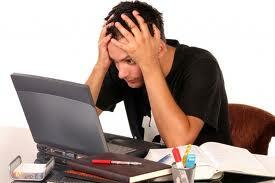 Log onto Facebook, comment on that video of a cat surfing and get back to work. Like and share this post if you think it might help others. Posted by onlinegrindsireland on February 17, 2013 in Study Tips and tagged Exam Study, Motivation, Procrastination, Study Help, Study tips. 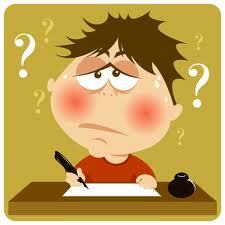 Here is OnlineGrinds.ie French Grinds Teacher Paul Stenson showing you how to formulate questions in French. The transcription of the Grind is located below the video. Bon Courage! So asking questions in French. How do you ask a question in French? There are three ways. The first one is by intonation, by raising your voice at the end of the question. So we are going to take the question Do you have? Tu as? So using the intonation method. You simply raise the tone of the voice at the end of the sentence. The second method is by inversion. We invert the verb. We turn it around. As-tu? So you have becomes have you? A perfectly acceptable way to ask a question. The third way is using the Est-ce que construction. And this can be a little bit confusing to students at times. But sometimes can be one of the easiest ways of doing it. So Est-ce que. What does est mean firstly? Well Est-ce is c’est inverted. An C’est is Ce -est. And Ce-est means it is. So Ce-est que means it is that. So Est-ce que means is it that (…you have). So putting Est-ce que before the you have makes it a question. Do in English it would be like saying Do you have? Now, onto that we can elongate the question by adding the other question words such as. Pourquoi which means why. Comment means how. And Combien which how many. Ou which means where. Quand means when. Qui means who and que means what. So by adding any of these onto what we have here. We can elongate, we can make the question more specific. So you can just say. Pourquoi as-tu? Why have you? Combien as-tu? How many have you? Combien est-ce tu as? How many have you? Combien tu-as is perfectly acceptable aswell. In fact its said very very commonly by the French. Quand. When you’re putting quand with Est-que. The ‘d’ is pronounced like a ‘t’. So it would actually sound like Quand ‘tes-que’. Quand est-que aller en ville. When you are putting que ‘what’ with any of these. The ‘e’ on que is dropped for you are getting Qu’est-ce tu as? You can’t use que before tu as, so you use quoi at the end. You either use que at the start or quoi at the end. They both mean what. Qu’as-tu? The French might use this when they want to ask ‘ Whats wrong with you? So thats the three ways of asking a question is French. And the easiest way sometimes is to use Est-ce que. Especially if you wanted to use the inversion methos and you had a negative reflexive verb in the Passe compose with the pronoun ‘en’ you are not going to be able to use the inversion method. So thats the interogatives, asking questions in French. I hope thats ok.
Posted by onlinegrindsireland on February 14, 2013 in French and tagged French, French Grinds, How to ask Questions in French, Junior Cert French Grinds, Leaving Cert French Grinds. Enter your email address receive this blog by email.